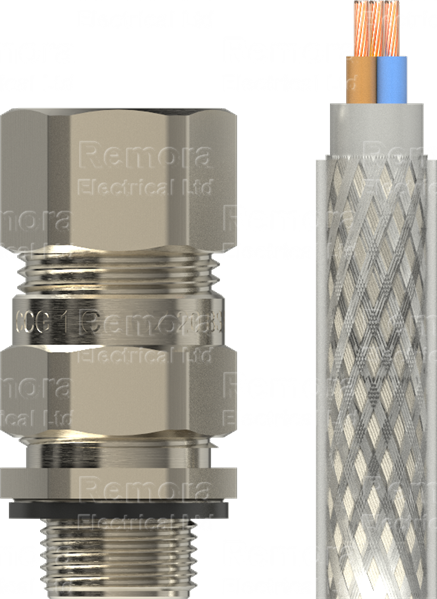 The CX/CZ Gland is designed for all braided or tape armoured cable for general outdoor use where a seal on the outer sheath is required to obtain an IP rating. The gland features two-part handling with no loose parts. A freely rotating captive cone provides an armour clamp and earth bond without twisting the armouring. Seals on the cable sheath to IP66 if fitted with a sealing washer. • Freely rotating captive cone, providing an armour clamp and earth bond without twisting the armouring. • Patented disconnect armour clamp system for ease of inspection.